With their fourth album having recently entered their catalog, it only seemed proper for Tesseract to embark on a tour to promote it! Sonder isn’t a huge deviation from Polaris, both of which are a sonic and tonal departure from One and Altered State, but good listens all the way through with killer singles. Along for the ride come Plini, the titular musical project by Plini Roessler-Holgate from Sydney, Australia, and Boston’s progressive prodigies Astronoid, who released Air in 2016 to massive praise (especially from us). With a lineup of prog boys this good, every stop on the tour is a surefire amazing night for all attendees. 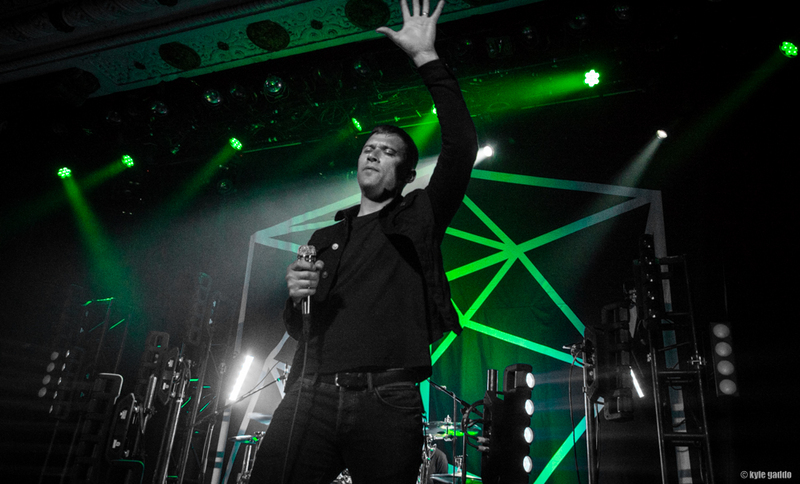 Metro is one of Chicago’s most lauded venues, having been home to several prolific tours that have included heavy-hitting live acts like Abbath, The Dillinger Escape Plan, and Deafheaven. Now joining the ranks is Tesseract, with both Plini and Astronoid playing their largest venues in the Chicagoland area, only being surpassed in size by the local amphitheaters and Chicago’s House of Blues. The nearly sold out show was filled with prog fans eager to see Tesseract, but many were about to get their first taste of the delightfully dreamy Astronoid and the absolute cutie pies in Plini. Having seen Astronoid on all their previous stops, even seeing them perform Air in full at a small venue in the city, seeing the growth of their production values has been astounding. Their light shows now are overwhelming (and thus bad for photography), but fitting for their airy sound. The strobing lights following in time with their quick riffs made for an excellent live show, and likely one of the best we’ve been privy to on this whole tour. This Chicago stop wasn’t lucky enough to hear the entirety of Air, as they were an opening act of three, but the boys played all of the hits from the record and you should absolutely jam it if you haven’t had the pleasure. Following Astronoid was Plini, the wonders from down under. 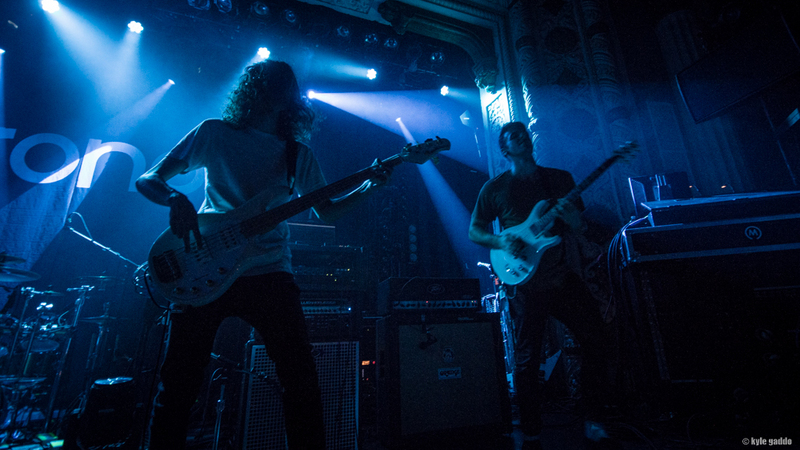 Joining Plini on stage are his forever brothers in Simon Grove and Jake Howsam Lowe from The Helix Nebula, but you might also recognize Jake’s name from his work on Slice the Cake‘s final album. Joining the band was drummer Chris Allison, filling in for the oft-seen Troy Wright who was unfortunately not available for the tour. Plini’s live show is always a good time. The smooth stylings of Plini’s guitar work make for a relaxed atmosphere, even with his most upbeat work. 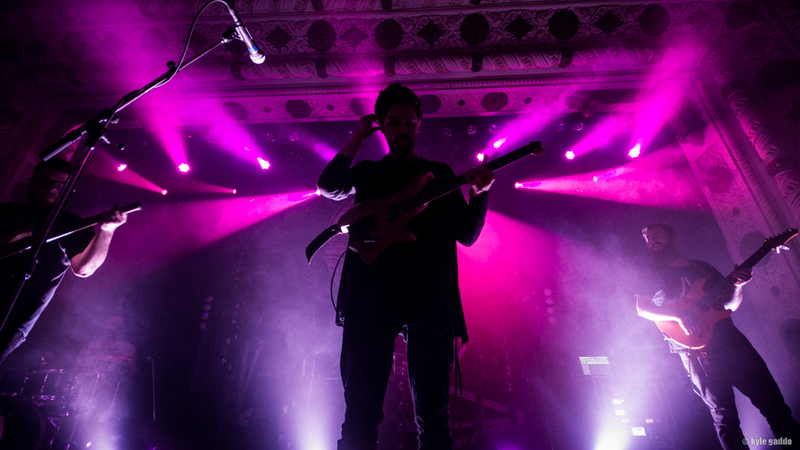 Plini and the boys played select hits from his most recent full-length offering Handmade Cities as well as deeper cuts from his online catalog. Extremely chill all the way through and just a fantastic performance all around. Djent giants (djiants?) Tesseract were the final performers of the night and if you’ve ever seen Tesseract before, you already know what the heck is going on. Thick palm mutes and airy tones abound, Tesseract were on-point playing fan favorites and highlight singles from across their discography. With a delicate balance of old and new, fans of all time lengths heard something they enjoyed, with select bangers from the Concealing Fate suite making their way into our ears and the new hot singles from Sonder supporting. The most amazing thing about Tesseract’s live show now is their production values. When they first began touring the US in smaller venues, they were prone to using house lights and having a skilled lighting technician on board. Now that they’re more popular than ever, the lighting rigs they manage are all the more complex and all the more entertaining to see. Metro Chicago isn’t necessarily known for their prolific light shows, but you would have a hard time telling if this was your first time being there. If you missed one of the stops on this tour, this run is unfortunately over, but you can catch all these acts again in the future. This isn’t the first time Tesseract and Astronoid have played together, and it certainly won’t be the last.